I want to welcome all my new visitors from the Grow Your Blog Hop. One thing you should know about me, besides being a runner. I love adventure, exploration, hiking, camping and enjoy taking my camera along for the ride. 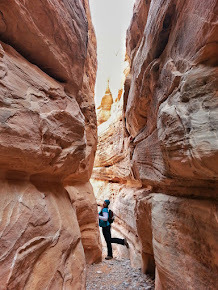 Each Tuesday is Travel Tuesday on my blog, where I showcase a different place I have visited, hikes taken or adventurous location. I have over 60+ travel destinations already posted which you can view HERE. Today, instead of picking a new place to show, and since many of you may be new visitors. I thought I would take today, to not only introduce you a little to my adventurous side. But show you some of my favorites over the past few years and you can pick which you'd like to read about! If they look interesting, your more than welcome to click on the links and view all the details as well as all the pictures that come with them! 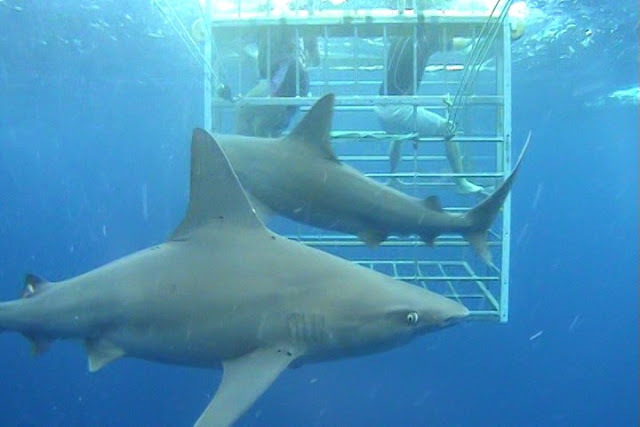 Shark Diving has been one of those things that will probably be on my top 10 favorite things done forever. One thing about me, I can be fearless. 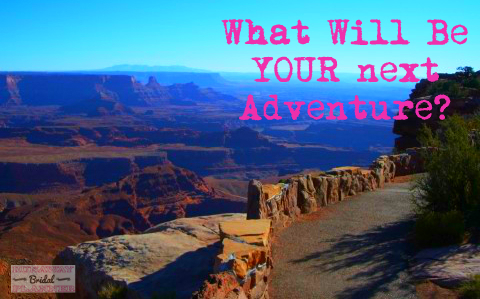 I crave adventure and all that comes with it! Being down in the water surrounded by sharks, is magical, to watch and see their beauty. I've been into sharks my entire life, but when I visited the North Shore of Oahu and headed out early one morning to swim with these magnificent creatures, I can't help but love them more. This is one of those things, I hope to get to do again in the future. 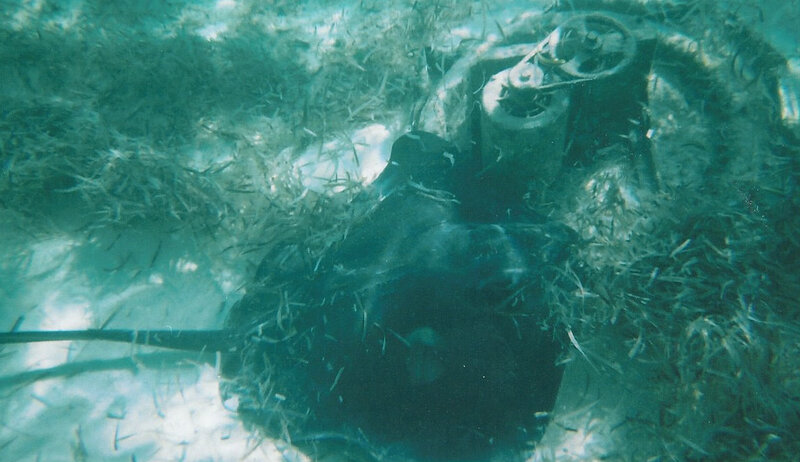 Want to learn more, see more pictures or the details of my diving trip? Visit this page HERE. This is one of those things, that gives an entire new meaning to wanting to get up before the crack of dawn. Depending on the time of year, when visiting Maui, you may have to get up at 3am to make the drive up to the top. Yes, it's Hawaii, but it will be freezing, in fact sometimes it even snows up here. Yes, it DOES snow in Hawaii, did you know that? But it's worth the early hour and the freezing temps, because when the sun starts lighting up the clouds and they appear as if they are being lit on fire one after one. Its a vision of beauty I seriously will never forget! More pictures and details can be found HERE. This one, is probably my favorite adventure EVER!!! There is no way I can tell you or show you pictures to do it justice. Taking a plane and flying low in and around the magnificent peaks of this part of Alaska, will literally take your breath away, it is amazing! The glaciers, the sights and then landing the plane up above 12,000 feet on a glacier that is itself moving and changing each day. The term, it is so quiet it is loud, is really only experienced in a place like this where it's just you and nothing else living for miles and miles around. You can view more pictures and the details of the trip HERE. 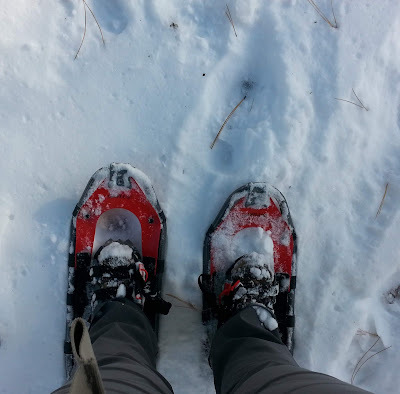 Love to hike like me? This is one hike that I recommend for the morning hours, as the sun and mountain setting when you arrive is just picturesque. Montana has some beautiful country and Glacier National Park is really a hikers paradise. One tip, the earlier your out hiking in a National Park, the greater your chances of getting to see wildlife! Want to see more pictures and info on this hike, you can find them HERE. This beautiful gem, is such a short drive from San Francisco not to far from the famous Golden Gate Bridge itself, yet a lot of visitors don't even realize it is there. I can't help but just be in awe of the size of these giant Sequoia beauties! See more details and pictures HERE. You could probably guess, but yes this is also going to go down as one of my all time favorites! This is one of those things, that if you are an adventure seeker and thrill lover like myself you just have to do this at least once in your life. Free falling for over a minute playing around flying through the sky, so beautiful and such a thrill. If you want to read more and see more pictures visit HERE. Most of this National Park can only be seen or possible to get by by boat. I was amazed at how green and lush a lot of the islands in this area were. At one point we had to cut the engine on the boat, as over 60 wild Orca wales were swimming and jumping and playing all around us. With a microphone dropped into the water, we just sat in silence watched them play and listened to their songs. A few hours later, we were surrounded by nearly 40 humpback whales, lost count of how many sea lions and other wildlife we saw. Eventually we made our way up into the coastal glacial areas. 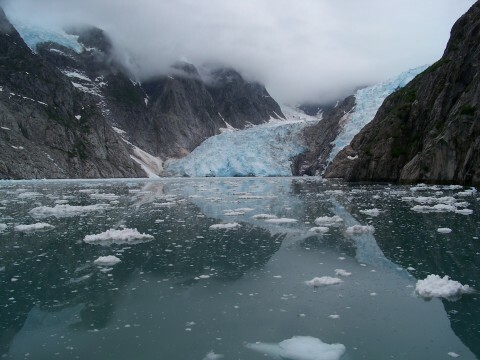 We were the first boat that spring to break into the ice in the turquoise icy waters. Eventually right up to a glacier where I was able to witness glacial calving chunks the size of houses cracked and roared through us like thunder as they broke off. And those were just a few things witnessed on this nearly 11 hour day of touring the seas and park. More pictures and info HERE. 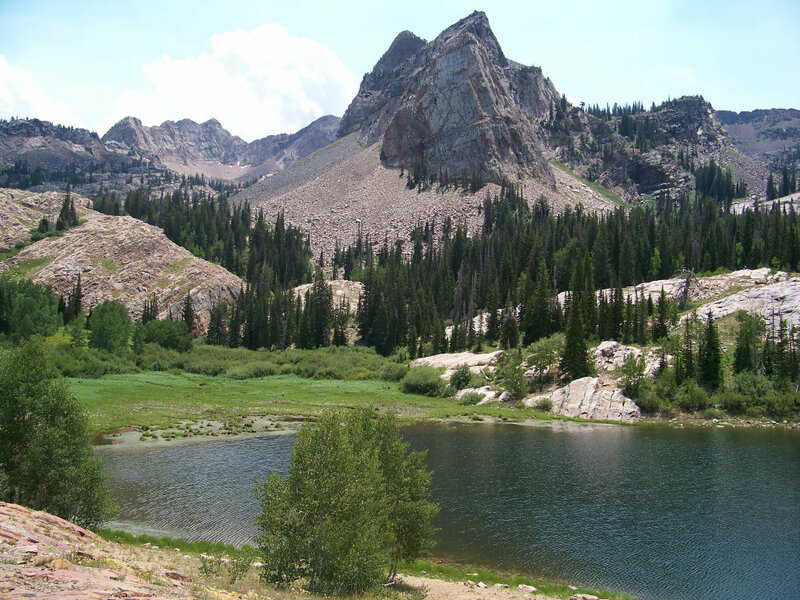 Utah is another one of those states that is a hikers paradise. There are so many places to go and see that not only can one like myself never get bored. We have some gorgeous mountains, especially for those who like to climb. This is one of the local favorites, hiking up to Blanche Lake. More pictures and info HERE. Although I am a mountain girl, I do love the ocean and the wildlife in it. 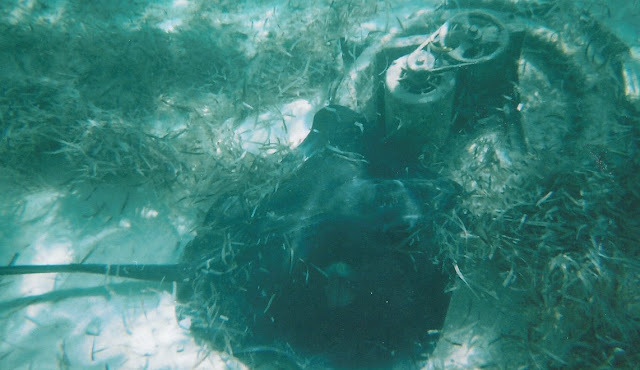 This is one of those adventures I took, and at the time had no idea that it was not exactly safe to try and catch a stingray and let it take me for a ride. (Not even kidding:) I had a great time though, and it's probably better I didn't know that they have barbs that can shoot through you. Yes, I was naive enough to think that it just stung you if the tail touches you:) Wiser now, but I would do it again, you can read more HERE. Utah is a beautiful state, and I am not just saying that because I live here. We really do have one of the more diversely scenic states there is. 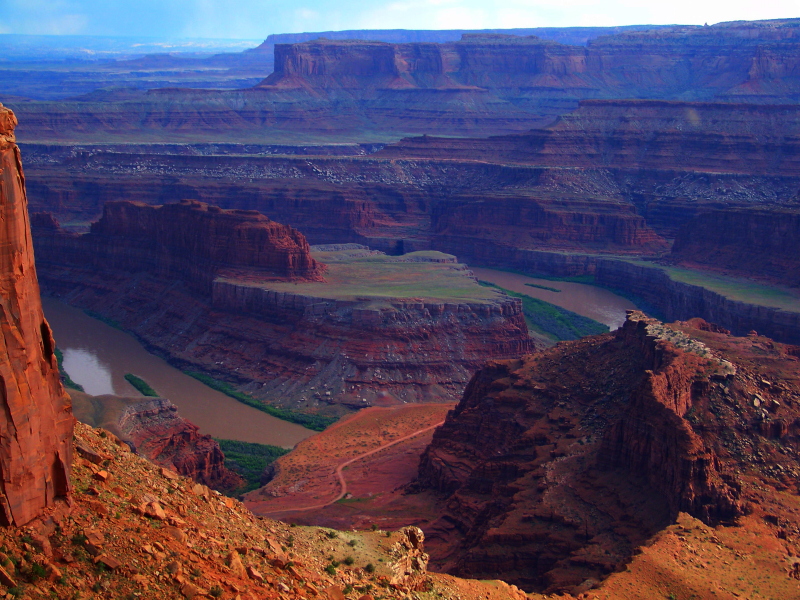 Dead Horse Point is probably one of the most photographed vista's, but if you get a chance to stop by and visit yourself, you will not be disappointed! More pictures and details HERE. Love a thrill? Love adventure? Love scenery and fun? If you haven't guessed, I sure as heck do! 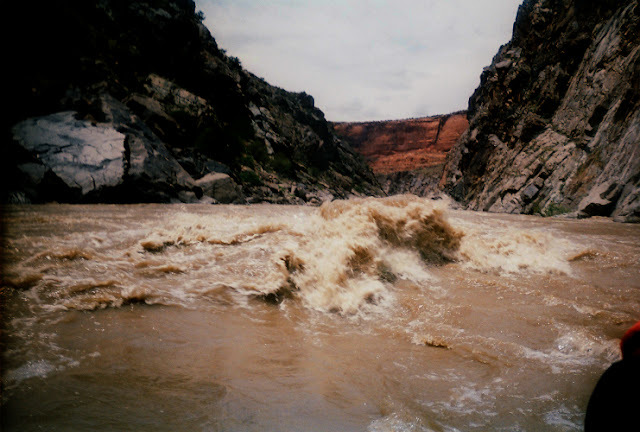 White water river rafting down the Colorado River has all of it and then some. If you've been river rafting before, I hate to say it but rafting out west is an experience that you really can't get in other parts of the country. Take a group, hire an experienced guide and go for the ride of your life. More pictures and details HERE. Arches National Park is seriously one of the more incredible parks to see in America. Delicate Arch is one of my favorite hikes to take when I visit, I have probably done this one a few dozen times. If your a runner, you can even take a run up to the Arch, and get a killer hill trail workout in! See more pictures and hike details HERE. And these are just a very small few of the fabulous places you can see on this blog! 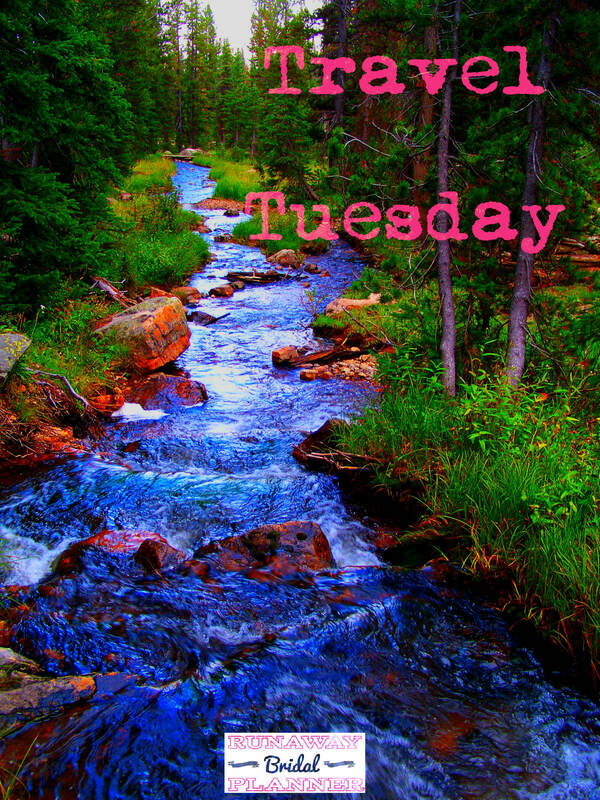 You will likely enjoy stopping by my blog on Tuesdays. Since this is the day to give new visitors a preview into what I blog about, here is what else you can get if you are interested in following me and seeing more! Me Monday's - Quick re-cap of my week and going on's. First Thursday of the month, this year I am running topics to help grow or monetize your blog. 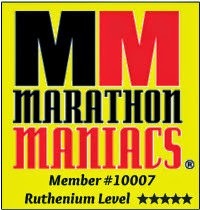 Running Thursday's, are for posts and subjects related to running. Usually on Friday's I am at events, but if I am free I try to join up in Fitness Friday link ups or fitness posts. I would love it if you'd stop by again sometime! What is your favorite vacation/hike or adventure you have been on? Have you been to, or done any of the above mentioned? If you're a blogger and not signed up with Disqus, please feel free to leave a link to your blog if you comment. So I can find you and come visit your blog too! Glaciers are amazing. We saw the glaciers while in Argentina a few years ago. Just breathe taking. One day, I will get to visit all the awesome National Parks in the US. One day. Can you sneak me in your bag? i want to come with you!!! Sounds like you've had so many great adventures! I really need to get out west and see some of our national parks. Thank you so much for hosting the blog hop, I'm having so much fun and it's great to get back into the writing and visiting habit. Wow! You have been to some GORGEOUS destinations, Kristy! I for one am terrified of sharks and I'm fairly certain I would faint from fear if I did a shark dive ;) BUT I can do mountains so I will be checking back - I love to get new travel ideas. I love Hawaii and just about any sunrise is amazing there. I made it to San Fransico but not to the woods (darn). Love your travels. Lucky you!! Thanks for hosting the blog hop! You really do an amazing job at it. Thank you!! Omgosh...your pictures are breath taking! 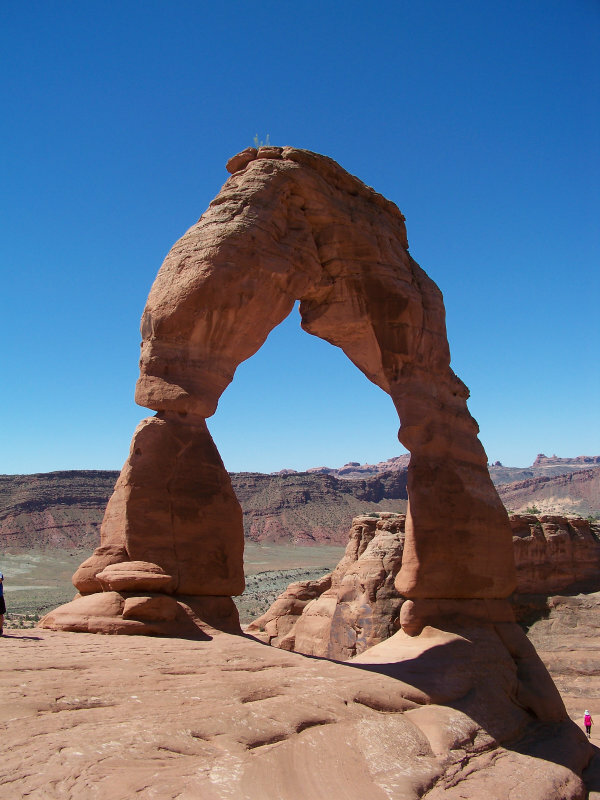 I especially love the pictures of Arches National Park as well as Muir Woods...both on my list of places I want to visit! My favorite place to hike has been Sedona, AZ....so many great trails! 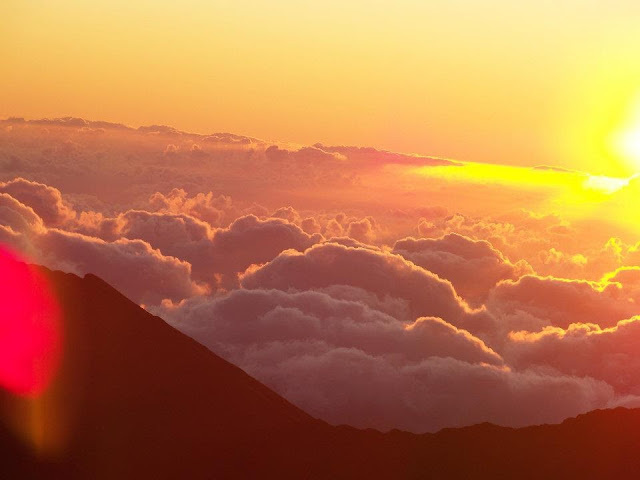 Haleakala is one of the most beautiful places I've been as well. The pics don't do it justice. Shark diving? Not in a million years! Fun to see more of your adventurous side. Have a great day! so many beautiful places! I've never been in a shark cage like that BUT at Typhoon Lagoon in Disney you can swim with some sharks and stingrays and THAT is pretty cool. Gorgeous, gorgeous, gorgeous!! I am so envious of all your travels. We always say we can't go anywhere because it would be too difficult with the kids. But we should just go. My favorite vacation was our last hurrah before kids to Brazil and Argentina. We went to Iguassu Falls as well and it was just breathtaking. But our trip to Hawaii was definitely my favorite because we didn't do anything other than enjoy our surroundings. It's my mind's "happy place" when I need to relax and destress. Thanks so much for hosting this blog hop again. It's been great connecting with you and all the other bloggers! What amazing adventures you have had! I have been to Muir Woods and it's absolutely breathtaking. You got my travel bug itching again..it never really stops, but when more ideas and places are brought to my attention it sparks into full swing! Nice to meet you and thank you for hosting this awesome blog hop! I think we talked about those before, I was totally jealous then and still am that you saw them in Argentina. But aren't they though, just so breathtaking!!!! Oh, you must try sky diving, it's just like water skiing, except instead of being pulled you are free falling, and the rope pulls above you instead of in front of you, LOL Okay so maybe not really, but seriously though its awesome, you would love it! All of the sights are absolutely beautiful! I am already so jealous. Great Barrier Reef is on my bucket list one day! Did you go diving there? Was it as amazing as they say? Looking forward to getting to know you better too! You had such a creative idea for your post today, loved it! Thank you Brandy, that is sweet of you to say, makes my day when others say kind words about enjoying the hop! Oh no, next time you visit San Fran definitely hit up Muir woods, it is just breathtaking beautiful in there and so close to the city! Arches is one of my favorites, I used to go there every spring and fall:) I was hiking back there in June this year, and although hot, so fun! I really do hope you get a chance to visit both Arches and Muir Woods!!! I've always wanted to visit Sedona, I have been all over Arizona, but haven't hit up that part, and I so want to, I hear there is some great hiking around Sedona! I have heard you can do that at Disney? Was it pretty amazing? In their lagoon, you would get quite a few huge array of sea life to swim with! I would have loved to see Iguassu Falls oh my gosh so jealous!!!! Hawaii is one of my happy places too, I wish I could go there every winter! You are very welcome, I am glad to hear you are enjoying it and having good times connecting with others!!! You are so right, Muir Woods is definitely breathtaking! Don't you agree, a must see for anyone in the area! Oh, you are very welcome! It's been great to meet you and get to know you and your blog a bit more in this hop too! Absolutely beautiful pictures and amazing adventures! I'm truly in awe! I just started traveling this year for work and never expected to see so many beautiful places. Thank you for sharing your journey! I mean look at those pictures! BEAUTIFUL!! Wow-I never knew it could be freezing in Hawaii! Learn something new everyday! I so want to do sky diving..but so scared! WOW these are BEAUTIFUL pictures! That's amazing that you've gone to so many scenic places, and that a lot of them involve some type of physical activity, too! I would LOVE to climb a mountain or go white water rafting some day. You've inspired me to think about those adventures again! So happy to connect with you trough the hop, and THANK YOU SO much for your time and efforts in making it really beneficial for all of us. The hard work shows, and it's so nice to connect with such great bloggers that I wouldn't have otherwise! My dad and I went white water rafting with some of his friends when I was a kid and I hated it; didn't like the constant motion. No skydiving or shark diving for me but I'd like to do all the others you've shown above. Beautiful pictures BTW! Wow!!! These were amazing pictures and stories to go with all of them. I can't wait to read more of what you write. Thank yo so much for putting together the blog hop, I've learned so much and met amazing bloggers. I can't believe all the adventures you've been on! Wow! I love adventure and doing crazy things, but I just don't think I'd ever go sky diving. I just don't think I could do that! Holy cow! You certainly have been on some amazing adventures. I am super impressed and awed by your photos. The shark diving! Really! The only thing I can say I have done on this list is the Muir Woods. It was incredible. Maybe I will have to use your list as a bucket list. Thank you for sharing!!! Wow, I am in awe and so jealous of all the amazing adventures you've had! I would love to go to Alaska and the Miur forest, among others places, love the photos. Thanks so much for hosting the blog hop, it has been a lot of fun! I thought I was adventurous until I saw this post! You have been to some really awesome places! I just returned from Hawaii and it was by far the most amazing place I have ever been! I ran up to Diamondhead, hiked it, and then ran back one of best experiences I have every had. Thank you so much for hosting this blog hop! It has been great discovering other bloggers. First of all, I love your blog name. I'm a event coordinator too- sometimes weddings if I still have time, but mostly conferences now :) Second, I am sad to say the only place I have been on this list is Muir Woods. How do you find the time?!! I want to visit Utah, it looked amazing :) but I would NEVER be able to get myself to swim with sharks! Your blog name is so perfect for what you do - travel and plan! I have done a few from your list! Since I live in the Bay Area, I have been amazed by the Muir woods a few times! 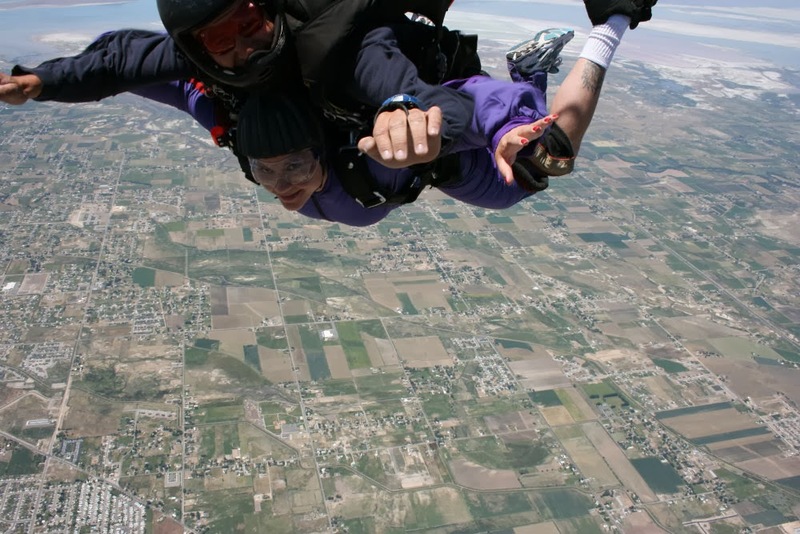 I went skydiving about 15 years ago with my mom on her birthday, and my boyfriend and I swam with the stingrays on a cruise I earned as a beachbody coach a few years ago! Thanks again for hosting the blog hop! It has been so fun visiting all the blogs and interacting! Thanks so much for hosting this blog hope. I'm having so much fun discovering new(to-me) blogs! Hooray for Hawai'i! I've officially decided that going there is going to be my graduation present to self! :] (Yay for Muir Woods too!) I need to check out Glacier National Park someday too! Those are AMAZING pictures! Wow! I love to travel and see new places! I am inspired to venture out even more now! I told my husband that I want to swim with sharks and he was shocked! I guess I have some fearless bones in me yet! Hi Kristy! How are you? I hope you do get to come out west and visit some of our National Parks sometime, they are truly gorgeous and worth the visit! I am glad you are having a great time with it, thanks so much for participating! Shark diving may not be for everyone, but it is a fabulous experience for those up for it:) Mountains are where my heart is, I could spend every day in them if I could:) Thanks for participating in the hop! Ya, it actually does snow occasionally in the higher elevations in Hawaii on top of he mountains, and very cold up there in the mornings almost any time of year, but oh so beautiful! I'm glad your enjoying your time in the hop, it makes me happy to know others are enjoying it as well, thank you! Ski diving may not be for everyone, but there are so many other amazing adventures for us to do too, right! Thank you! Yup, shark diving was totally awesome, I had wanted to do it for years. I didn't want to go alone so took the parents gave it to them as a Christmas gift, LOL they loved it too! Wasn't Muir Woods gorgeous! I just loved it there, I would definitely go back if I am ever near San Fran again! Oh I do hope you get a chance to visit Muir Woods and Alaska someday! Alaska is one of my loves, if I could I would spend every June there, I just love it! I am glad you are enjoying the blog hop, thanks for joining up and participating! Oh yay, another skydiver:) Wasn't it so amazing? Oh I love Maui too, The Road to Hana and there are some forests there I just love hiking in. I spent half a month there once and seriously never got bored exploring that island! I am thrilled you are enjoying the hop so much, thank you!!! Oh another adventure seeker, we would probably get along great! I am jealous you just returned from Hawaii, I wish it was in my budget to go this year, but it is not. It really is an amazing place, I agree with you on that! Glad to hear your enjoying the hop!!! Truthfully, I wish I had more time to travel. I go with the whole Work hard so I can play harder and I fit adventure and vacations in any way I can. I do hope you get to visit Utah someday, I may be prejudice but we do have a beautiful state, lots of national parks that are gorgeous to see! 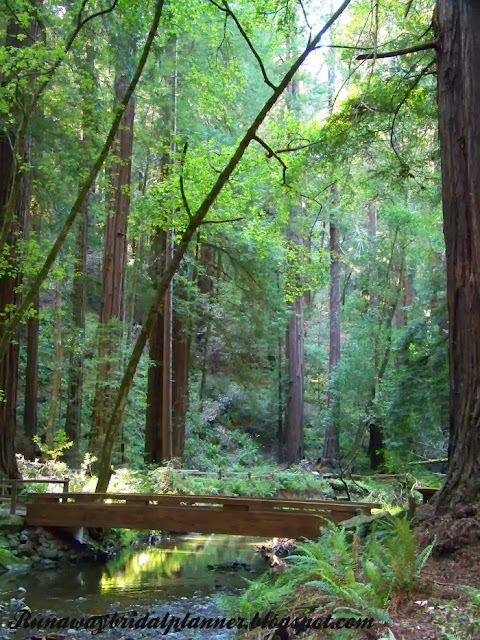 Oh, if I lived in the bay area I would visit Muir woods often! I drove from there down to Big Sur whenI ran the marathon there, such beautiful coastal country you have there! You are welcome, I am glad you are enjoying the hop and having fun with it! I do hope you get to visit Denali and Muir Woods one day, they are both so different but amazing and worth seeing! If you get to Denali, spend a week there is so much to see and do, and the wildlife in the area is amazing! I love your attitude, shark diving, why not! You are welcome, I am glad you are enjoying the hop! Thank you Farrah! One day if I ever get rich I am going to get one of those awesome expensive camera's and then I can really enjoy taking shots:) But for now, I do the best with what I have. Oh you so deserve Hawaii as a graduation present, that would be awesome and such a perfect place to go to celebrate and relax at the same time! Ethiopia, wow, that would be amazing. I doubt I will ever get there, but if I had the opportunity it would be incredible. Costa Rica, I have never been there either, and 10 times, WOW you could be like a travel guide there:) It must be amazing to go so often, I hope you guys have a great trip there! I am busy but doing pretty good Polly thanks for asking!!! Oh, I am sure you have been on some great adventures too. That is what I love about this world, there is so much to see and do. Oh, I love TN and I have been there. I ran the Knoxville marathon and then traveled all over and explored the Smoky Mountains. Oh my you have a beautiful state, I would definitely visit again! Oh, That sounds fun WA is a beautiful state! Thanks for sharing ♥ I must admit you are officially an inspiration to me! And I hope to get to know you more and chat someday! :] I graduated in Marketing, and my heart is in event planning but unfortunately the curriculum I took didn't really open the doors to this area. Love to hear how you got to where you are now. Whenever I read your travel posts I find myself drawn to the gorgeous photos you have for every single post. The adventures you have experienced are more than most people will do in a lifetime. I have several favorite vacation/adventures and probably visiting Rwanda and trekking with gorillas would be near the top of the list, especially since the huge Silverback sat and leaned on my husband! You have been on a bunch of awesome adventures! Love when you share them! I will have to check out Muir Woods! Your so sweet, you made me smile big when I read this! I have to tell ya, I actually worked in Marketing for many years, I often get tempted to go back towards it. The background in it has really helped save me lots of advertising dollars with my own business. I do love event planning and I am lucky that there is a lot of need for decorators in the wedding industry here! To answer your question my short version of this. I went to college for Interior Design, and had no desire to sell furniture (which was what most jobs in that here are.) One day I was bored and came across a Wedding Decoration company for sale, and at the time I had enough money in the bank to buy it, and after a quick check, and meeting with an accountant I owned the business 3 quick days later, and that was 7 years ago. Now I get to decorate many times a year for many different people, so it puts the interior design degree to good use, LOLI have built it up considerably from where I was at 7 years ago. It's just crazy where life can take you if you just let it, isn't it! I have been lucky, I was raised to love adventure and if I wasn't single and not afraid to travel alone and see and do things on my own I don't think I would be able to get out and see as much. Oh Rwanda, and trekking with gorillas oh my gosh I am totally completely in awe and so jealous. Oh my heck that was probably amazing, I can't even imagine. Africa is on my dream list, and I doubt I will ever get there, but if I did and had an experience like you mentioned It would be so magically amazing I am sure! I am so jealous of your adventures and wish I had done this stuff before I had kids! Someday I will get to see some of those places! I have been to Muir woods though and that was so amazing! Oh don't be jealous, I bet you'll get your chance one day! But I am glad you have seen Muir Woods, it really is amazing and beautiful! Wow, I love all of your travels! I'm pretty adventurous too, and would love to visit some of these places. I have hiked in the Wasatch mountains, but have never been to any of the other places on your list. 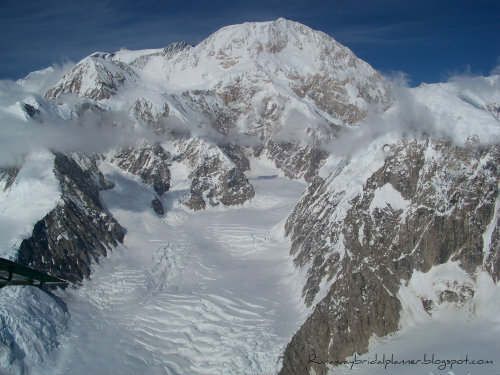 Muir Woods and Mount Denali are both high on my list! I do hope you make it to Muir Woods and Denali some day, they are seriously awesome, you will love them!!! !